Years after the man once known as Tarzan left behind the jungles of Africa for a gentrified life in London as Lord Greystoke with his beloved wife, Jane Porter (Margot Robbie), he has been invited back to the Congo to serve as a trade emissary of Parliament, unaware that he is a pawn in a deadly convergence of greed and revenge, masterminded by the corrupt Belgian Captain Léon Rom. 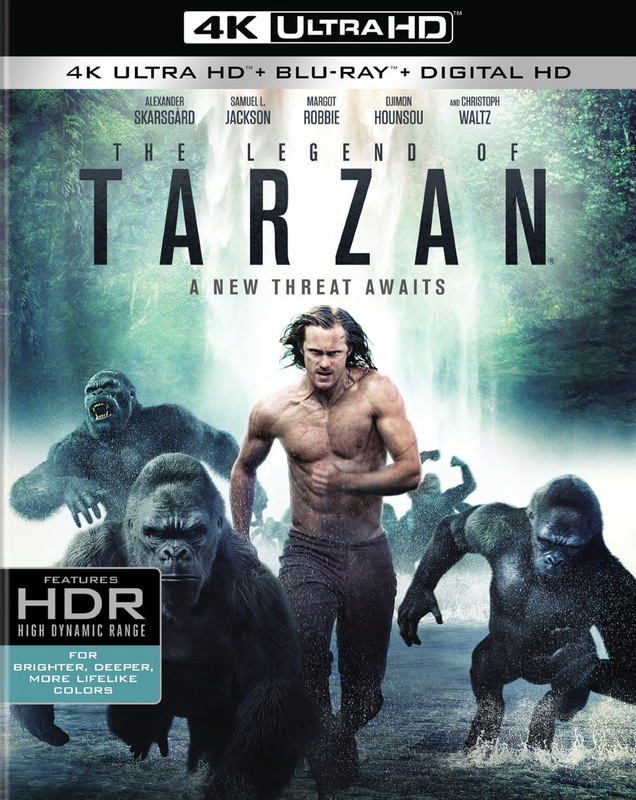 The Legend of Tarzan will feature a Dolby Atmos soundtrack remixed specifically for the home theater environment to place and move audio anywhere in the room, including overhead. To experience Dolby Atmos at home, a Dolby Atmos enabled AV receiver and additional speakers or a Dolby Atmos enabled sound bar are required. Dolby Atmos soundtracks are fully backward compatible with traditional audio configurations and legacy home entertainment equipment that aren't Dolby Atmos compatible.